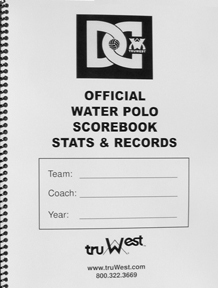 Water Polo Team - SCOREBOOK with instructions written by by Dave Carlson. 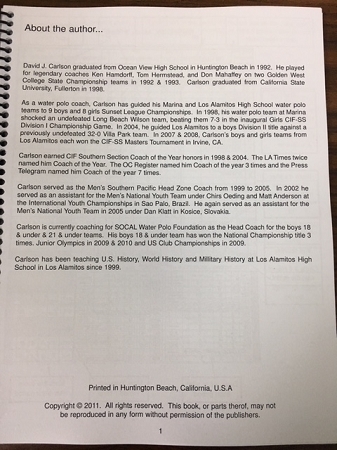 Dave graduated from Ocean View High School in Huntington Beach in 1992 and played for legendary Coaches: Ken Hamdorff, Tom Hermstead, and Don Mahaffey. He was on two GWC State Championship teams in 1992 & 1993. He later graduated from CSU, Fullerton in 1998. As a HS water polo coach, Carlson guided Marina, Los Alamitos to Sunset League Championship. 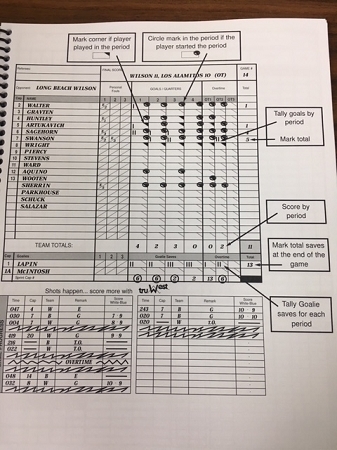 In 1998, Marina shocked an undefeated Long Beach Wilson team in the inaugrual Girls CIF-SSS Division 1 Championship game, 7 to 3. 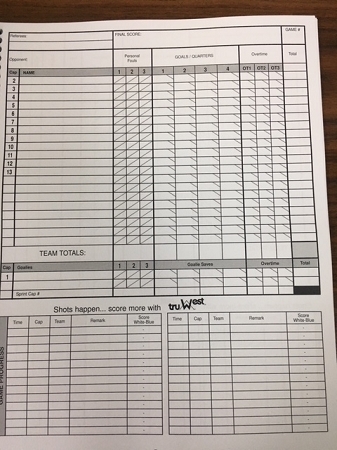 In 2007 & 2008 Los Alamitos boys and girls team won the CIF-SS Masters Tournament. 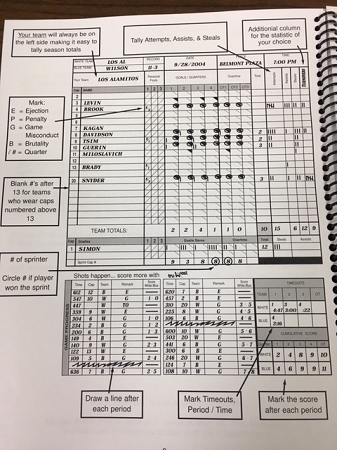 Read more inside the scorebook upon purchase. 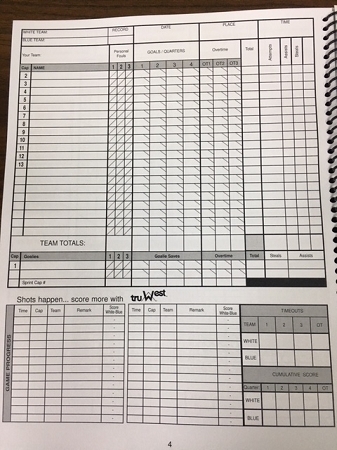 Features: Includes recording of players statistics in attemps, assist and steals, plus improved presentation of Time-outs and Cumulative scores and records scores by period and total saves at the end of the game.